President Donald Trump called former acting FBI Director Andrew McCabe “a puppet for Leakin’ James Comey” after news came out Wednesday that McCabe began the obstruction of justice probe involving the Trump campaign and its ties to Russia. “Many of the top FBI brass were fired, forced to leave, or left. McCabe’s wife received BIG DOLLARS from Clinton people for her campaign — he gave Hillary a pass. McCabe is a disgrace to the FBI and a disgrace to our Country. MAKE AMERICA GREAT AGAIN!” the president continued. McCabe was fired on the recommendation of the Department of Justice’s inspector general in March, just two days before he was set to retire and receive his government pension. 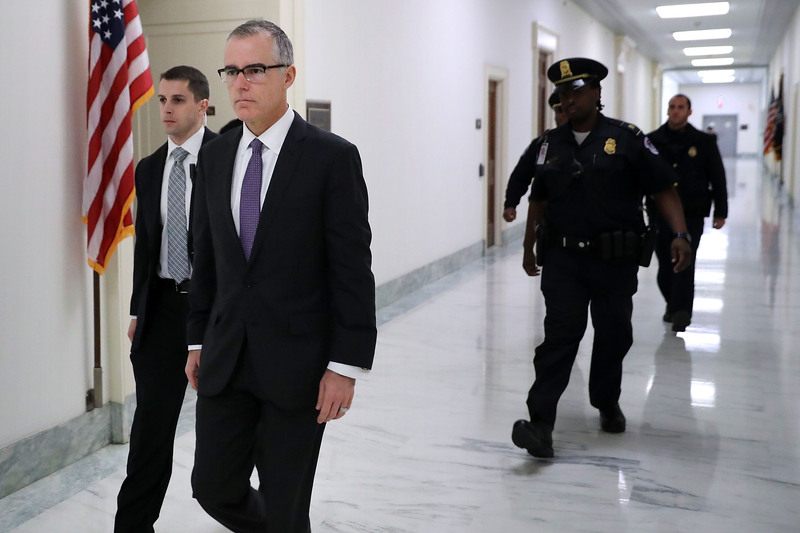 Investigators found that McCabe authorized his deputy, Lisa Page, to give information to the Wall Street Journal about a probe into the Clinton Foundation. McCabe’s full interview will be aired on “60 Minutes” Sunday, just days before his book “The Threat: How the FBI Protects America in the Age of Terror and Trump” is set to be released Feb. 19. McCabe’s wife Jill McCabe lost a 2015 bid for Virginia state Senate “for which she received several hundred thousand dollars in campaign donations from a PAC linked to the Clintons,” reported Fox News.